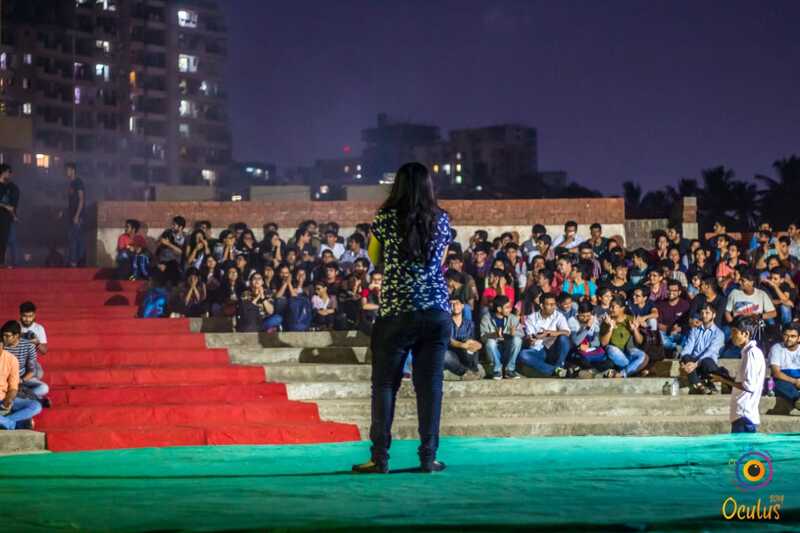 On 16th January,the stage was all set and the amphitheater was buzzing with excitement for Open mic 2019. 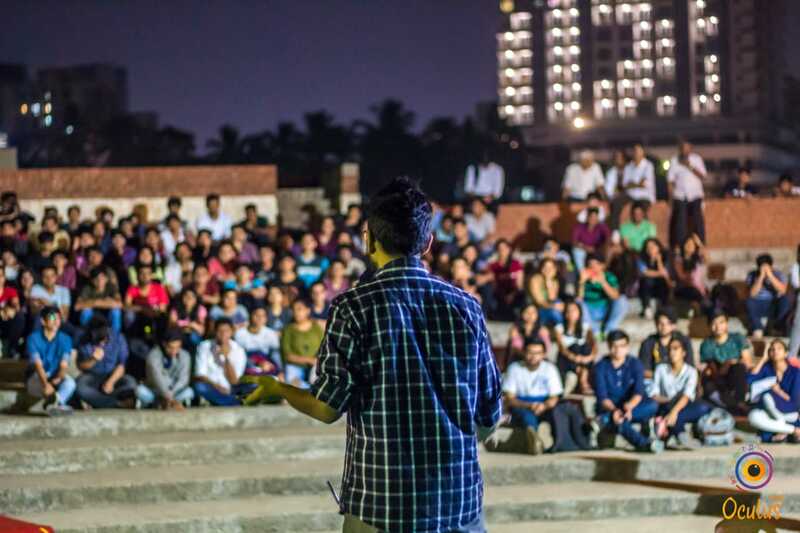 The crowd witnessed various acts from students from colleges all over Mumbai. The sunset, the pristine view of the lake and the slight breeze transformed the amphitheater into a perfect ambiance for the participants to perform their heart out and for the crowd to witness it. The first act, a stand-up, by Atique from VESIT, who talked about the life of engineers, provided a perfect tone for the acts to follow. Anirudh Kamath, from TE Comps, got the crowd roaring by sharing his views about the truth of S.P.I.T. “It was a nervous, yet wonderful experience. This was my first stand up and would definitely not be my last”, reflected Anirudh. 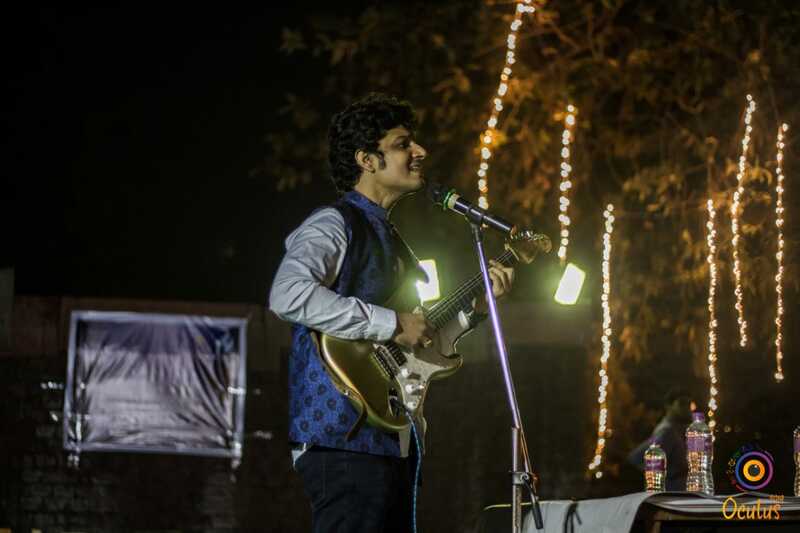 Poems by Ankur Chokani, BE Comps and Sharvika Raut, BE EXTC, enthralled the audience, which was followed by melodious singing performances by Raj Mehta, Sahil Parekh, Arijit Ghosh, Komal Kopakka, Pratik Pai, to name a few, which enhanced the energy among the crowd. The hosts of the evening, Harsh Dave and Azain Jaffer, TE I.T., kept the crowd indulged in the performances with their witty hosting. The highlight of the event was the guest of honour, Mr. Keshav Kumar from Voilà Digi!, a famous YouTuber who sang soothing Bollywood songs inviting enthusiastic singers to share the stage. Later in the evening, the audience were mesmerised by our principal, Dr. Prachi Gharpure’s singing. 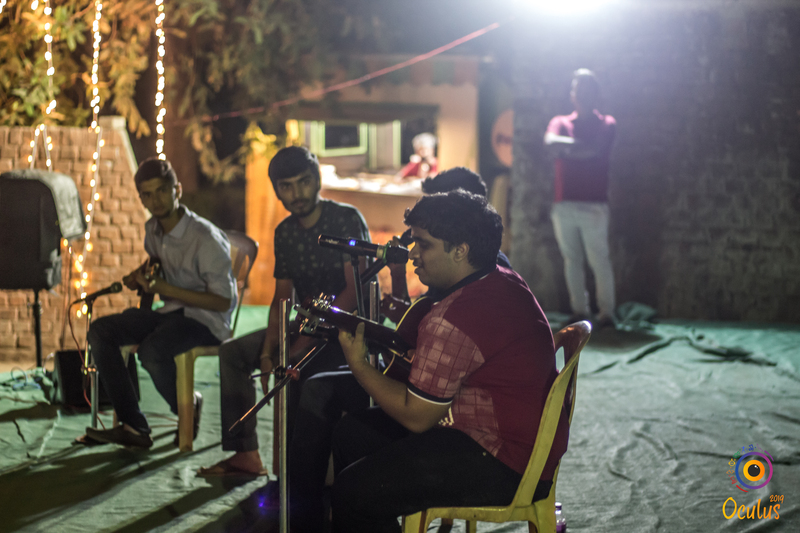 Several noteworthy acts like the beatboxing of Ankit, FE IT, the Shayaris of Abhishek Gupta, SE EXTC and the recitation of a poem about conquering one’s fears by Rupal Handoo, SE EXTC, won the hearts of the crowd.